End-user behavior is evolving towards ROADS, in a better connected world, connection everywhere and at anytime, becomes the new normal. How to improve performance, efficiency and experience? How to transform towards simple, digital, virtual and cloud? Integration has never been so important! CSPs need a system integration partner. To compete in the digital economy, operators need to transform their business operations by deploying a new generation of business enabling systems that replace traditional platforms focused on network services with open and agile digital platforms focused on enabling new business models, services and customer engagement models. To address these challenges and help operators on their digital transformation journey, Huawei has developed a suite of services and solutions called BES, Business Enabling System. The "Connected Generation" – those who have grown up with the Internet – is changing consumer behavior and creating new consumption patterns. In response, carriers must transform their operation systems. The ROADS experience will drive operations transformation and redefine the value and positioning of operation systems. In big data era, this operational shift requires data opening, which threatens data security. 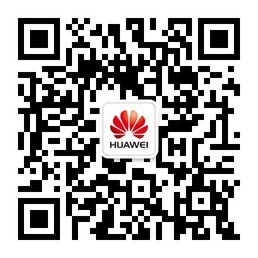 Huawei Open Data Bus Solution including three parts, User Data Collection Management, Privacy Reference Model and Data Usage Security, which will handling the data security of data openness. Huawei has named its next-generation operations system the Telco OS because it covers the entire lifecycle of telco resource, service, and operations management. With Telco OS, carriers can deliver ROADS services to end users and meet the ICT requirements of businesses.